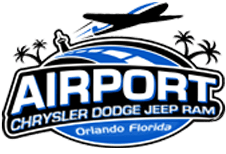 Check out the new 2019 Jeep Compass in Orlando, Florida. The new Compass is a vehicle that is impressive at every angle. This vehicle rocks –– whether you're driving your Compass Trailhawk through the mud with the Selec-Terrain Traction Management System's Mud Mode or you're using the available Apple CarPlay to enjoy your favorite tunes. 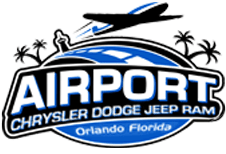 The team at Airport CDJR is ready to assist you with your new vehicle purchase, especially as you browse competitively priced options on our lot. Talk to one of our CDJR associates today and experience the benefits of a new Jeep SUV with a professional at your side. The new Compass has tons of other inventive safety features that will protect drivers near Winter Park, Florida. Explore our selection of Compass trims and check out all of the preventative measures that Jeep has taken to defend you. Sitting inside a Jeep Compass is not the same as sitting in a regular vehicle. The Compass offers a perfect blend of refinement and functionality, thanks to high-quality craftsmanship and soft-touch materials. The Jeep Compass features a large selection of available Uconnect® systems, which includes 4C NAV. Drivers can access all of their favorite applications through their 8.4-inch intuitive touchscreen. Check out Apple CarPlay and Android Auto connectivity with the Jeep Compass. Thanks to our selection of new Jeep models, you can finance a new Compass in almost no time! Fill out our secure credit application line now and our team will assist you as soon as possible. Check out our latest lease offers as well –– there are tons of ways to finance a Compass with us.